Are you fascinated by guns and do you see yourself purchasing a gun in the near future and becoming a proud gun owner? Have you heard about BB and Airsoft guns but are unsure about their differences? Did someone tell you that Airsoft guns are just a type of BB guns? They might be wrong. Keep reading to understand what these guns are and which one you should be purchasing. Airsoft and BB guns are two categories of guns that are often misunderstood. While many consider Airsoft guns as an extension of BB guns because Airsoft guns shoot BBs too, but nonmetallic ones, there’s, however, a lot more one must understand regarding making, the scope of use and lethality when it comes to Airsoft guns vs. BB guns. Airsoft guns are born out of the Airsoft game. Airsoft is game that is very similar to paintball with a few differences. One of the key difference is the type of gun used. Airsoft guns were made explicitly for Airsoft games. As Airsoft game involves hitting opponents with those guns, these guns are made for competitive sporting and recreation purposes when one wears proper protective gear. Regarding technicalities, Airsoft guns are fundamentally designed to have low muzzle energy and the pellets have less penetrative and stopping powers. The pellets used in these guns are nonmetallic 6mm BBs commonly made from plastic or biodegradable resin. There are primarily three types of Airsoft guns — Spring guns, Gas guns and Airsoft Electric guns(AEG). Spring guns are a cheaper variant of Airsoft guns and are operated like sniper riles; they are fired when you pull the bolt into the locking position and are usually meant as collector’s items. 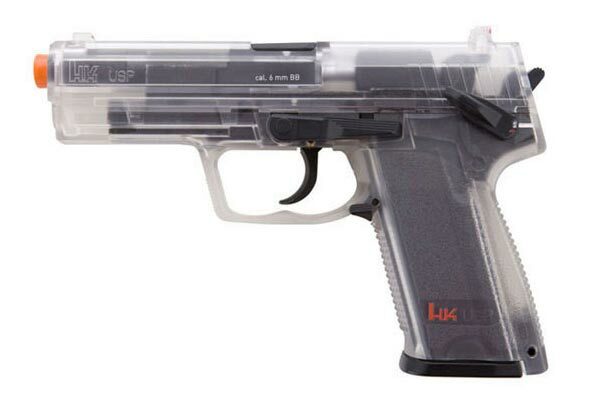 Gas guns are mostly pistol type Airsoft guns which employ green gas, propane adapter gas or a CO2 powered cartridge. AEGs are the most popularly used regarding sporting events. 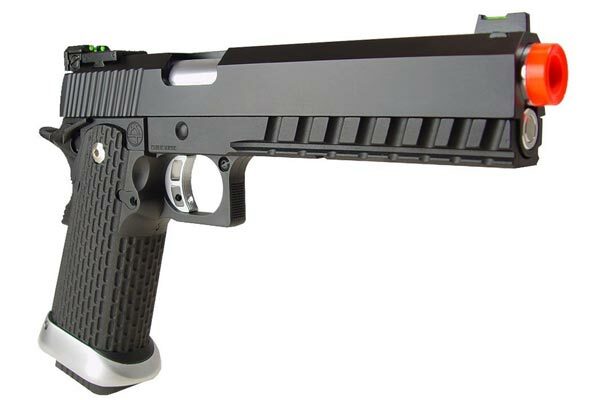 They are designed as a high rate of fire and high power Airsoft guns. They are battery powered by nature. Watch this YouTube video on different types of Airsoft Guns. BB guns are a type of air guns. They primarily shoot hard metal balls that are the usually the size of a 4.6 mm lead ball bullet. The BB guns are commonly used for hunting, recreational shooting and in some cases, for pest control too. Though BB guns are designed like any other airgun regarding operating mechanism, BB guns have a lesser range and a very limited accuracy when compared to many variants of air guns. When it comes to the technicalities, BB guns shoot a steel or lead ball bullet with a diameter of 4.5 mm or .177 caliber. They usually have a high penetration power and more dense pellets. According to a reputed and an exclusive BB gun seller ONLYBBGUNS, there are three kinds of BB guns available—Spring BB guns, Electric BB guns and Gas powered BB guns. Spring BB guns are meant for beginners and are low priced when compared to other variants of BB guns. They are operated by manually cocking before firing each shot. Electric BB guns are meant for the consumers who are serious about shooting and might also participate in activities and competitions on BB gun shooting. This model doesn’t need to be clocked before every shot adding more speed concerning the shooting. Gas Powered BB guns are the most sophisticated ones available and are usually the priciest as well. They mimic a real gun by using a pressurized gas to fire and can make you seem like you’re firing a real gun. 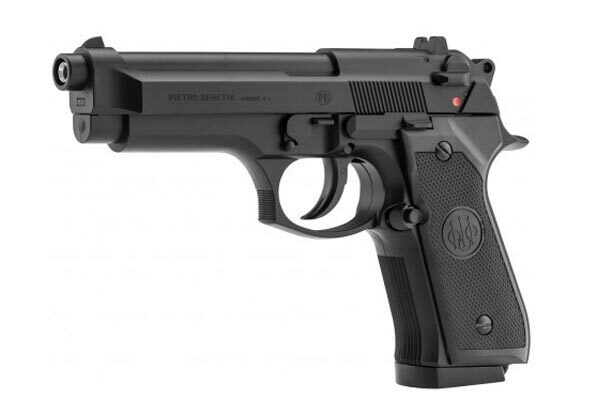 Both Airsoft guns and BB guns use ball bullets with differences concerning the BB composition. Airsoft guns use 6mm nonmetallic BBs that are often made from plastic and biodegradable resin whereas BB guns make use of lead and steel BB with a 4.5 diameter in general. BB guns’ bullets are denser and harder when it comes to the composition, unlike most Airsoft guns. Airsoft guns are used in a fun sport and setting wherein people are meant to shoot at each other when they’re in protective gear. Keeping these specifications in mind, Airsoft guns are usually less lethal and cause a fraction of the damage that BB guns can do. BB guns, on the other hand, are meant for purposes like recreational shooting, hunting and pest control which require more damage creating bullets. Hence these are very powerful and dangerous when compared to Airsoft guns. BB guns have more stopping power and penetrating power when compared to Airsoft guns. However, both these guns have an equal amount of accuracy in most cases. Airsoft guns are mostly used in the Airsoft sport followed by primary and advanced shooter training. Also, there are many clubs and teams associated with Airsoft guns as well. If you’re looking to participate in an Airsoft game or are a gun enthusiast who wants to get started in his shooting lessons, this might be an ideal choice. Gun veterans can also purchase the high powered variants of Airsoft guns developed in the recent times. BB guns are used for a wide range of purposes like hunting, recreation and for taking part in shooting competitions conducted by reputed bodies like the National Rifle Association. These guns are used in a more advanced setting where there is a higher percentage of risk, and a superior level of awareness and skill might also be required. Both the guns can be costly as well as affordable even. When one has to compare the price of the guns and their quality, both Airsoft and BB guns are almost the same. The ammo for both the guns is also very similarly priced. If you want a clear-cut analysis about the pros and cons, realism, shooting environment and accuracy when it comes to Airsoft vs. BB guns, check out this wildly popular YouTube video that explains everything you need to know about Airsoft vs. BB guns. Finally, one must always use a gun, either it is an Airsoft or a BB gun with utmost care and awareness. There is a high likelihood of damage or an unintended consequence if one is not careful regarding operation and usage of these guns.